The sentimental novel has long been noted for its liberal and humanitarian interests, but also for its predilection for refined feeling, the privilege it accords emotion over reason, and its preference for the private over the public sphere. 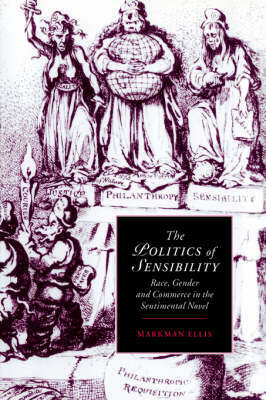 In The Politics of Sensibility, however, Markman Ellis argues that sentimental fiction also consciously participated in some of the most keenly contested public controversies of the late eighteenth century, including the emergence of anti-slavery opinion, discourse on the morality of commerce, and the movement for the reformation of prostitutes. By investigating the significance of political material in the fictional text, and by exploring the ways in which the novels themselves take part in historical disputes, Ellis shows that the sentimental novel was a political tool of considerable cultural significance.